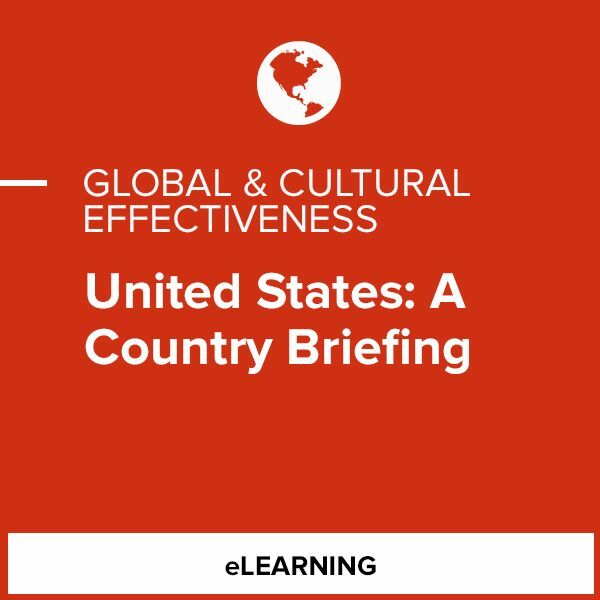 Build a foundational understanding of the key cultural and communication factors that can impact business relationships in the United States with the Country Briefing Learning Path. Learners are guided through the country, its people, and its customs in order to engage in more effective interactions and learn how to do business in the United States. Through compelling visuals, real-world case studies, proven best practices and quizzes, learners gain access to a truly interactive learning experience. Who Benefits from the Country Briefing on the United States? 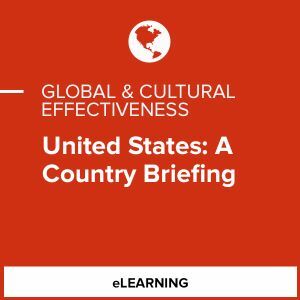 The United States Country Briefing is ideal for anyone interested in learning more about the country, for example, people working with team members, colleagues, clients, or vendors from the United States; international travelers to the U.S.; or university students needing an introduction to U.S. American society and business environment. This product is good for individuals working with U.S. American counterparts, traveling to the U.S., or interested in learning about the U.S.